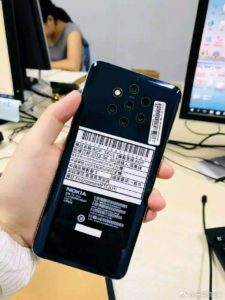 There have been many leaks about this Nokia’s smartphone so far and the design of Nokia 9 PureView has also revealed. According to leaks and reports , company has set up a Penta Camera setup in the back panel of this device and the phone will have 5 cameras in the back. The smartphone is expected to come with 6 inch AMOLED capacitive touchscreen display with resolution of 1440 x 2960 pixels. The device is expected to come with 8 GB RAM and 256 GB of storage. As far as Performance is concerned , it will be powered by Snapdragon 845 SoC. However, some reports have also claimed that the company could use the Next Generation Snapdragon 855 SoC processor to lure customers. 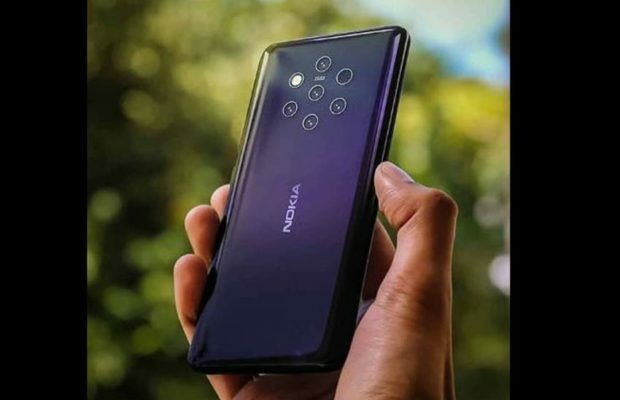 Talking about Camera , According to the media reports, Nokia 9 Pure will have two cameras of 12 megapixels. At the same time, 2 cameras will be of 16-16 megapixels, while the fifth camera in the device will be of 8 megapixels. Other camera features include Zeiss optics, dual-LED dual-tone flash, HDR, panorama etc. As far as price is concerned , Nokia 9 Pure may priced upto Rs. 50,000 in India . However , There are no official news by the company on this device as of now.